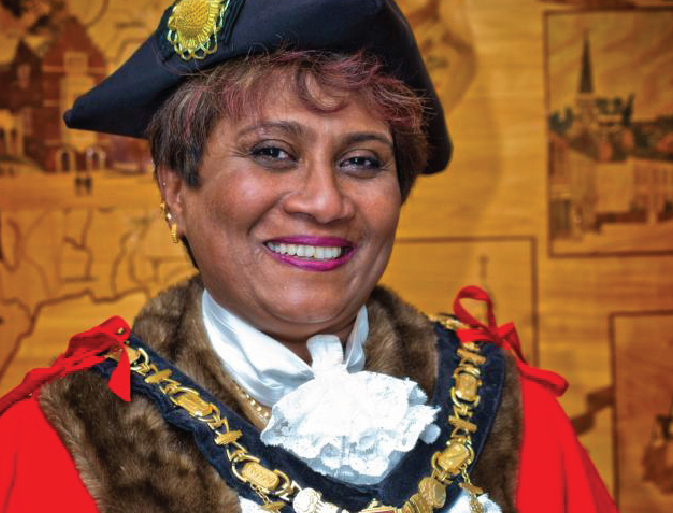 Harrow elected its first female Muslim mayor at the council’s 2018 full annual meeting. Cllr Kareema Marikar, who has represented West Harrow since 2010, was chosen to succeed Margaret Davine, who is retiring. She was healthily supported by her colleagues in the Labour Group, and successfully defeated Cllr Chris Mote, who was put forward by the borough’s Conservatives. Her fellow ward councillor, Cllr Adam Swersky, described her as “a ray of sunshine through the dark nights” and “the beauty of West Harrow” in a heartfelt tribute as part of his nomination. He also called her “the star of Sri Lanka” in reference to her heritage and culture, and noted her sporting achievements, including her appearances for the Sri Lankan national hockey team. Cllr Marikar, who has lived in Harrow for 28 years, said she was “filled with joy” at becoming the borough’s first citizen. “I take my new role with pride and pledge to serve the community to the best of my ability,” she said. A proud Muslim, she chose the imam at the Sri Lankan Muslim Cultural Centre as one of her chaplains. He will be joined by Rabbi Kathleen Middleton from the Mosaic Reform Synagogue in supporting the mayor. Her chosen charities are the Rainbow Trust Children’s Charity, which supports families with sick children, and the Firm Foundation, which aids Harrow’s homeless. Cllr Marikar also paid tribute to the importance of family; referencing her three children whom she raised on her own, her late parents, and those who had flown in from Canada, Germany and the Netherlands to support her. Several councillors commended Ms Davine on her “tireless” work this past year, with the outgoing mayor describing the role as “an honour and a privilege”. Cllr Nitin Parekh was elected as deputy mayor, defeating Conservative candidate Camilla Bath.